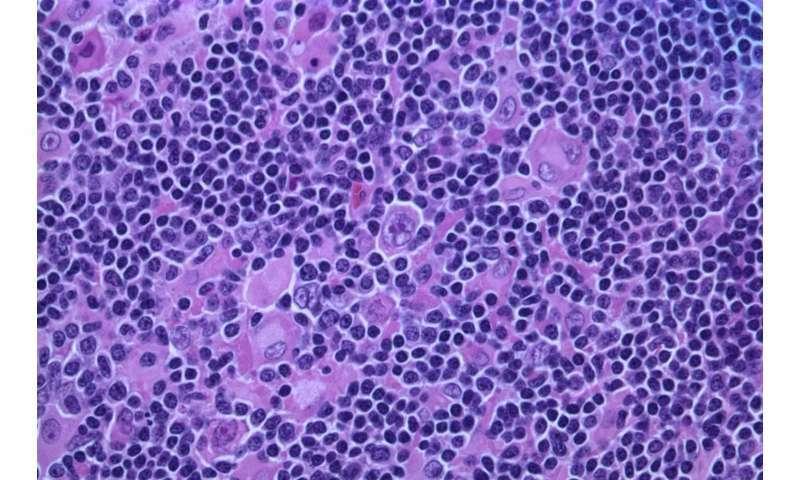 Cells of certain blood cancers such as Hodgkin’s lymphoma carry the protein CD30 on their surface. The molecule is not only an indicator of a few cancers of the immune system but also increases the risk of their occurrence, according to a report in the journal Blood by researchers of the Helmholtz Zentrum München. A greatly increased number of CD30-bearing cells are produced after certain viral infections, e.g. Epstein-Barr virus (EBV) infection, and in autoimmune diseases. The study, which was supported by the German Cancer Aid, suggests that vaccination against EBV might reduce the risk of developing Hodgkin’s lymphoma. In addition, the study provides insights into new target structures for cancer drugs. Doctors are already familiar with the protein CD30 as a diagnostic marker for certain blood cancer cells, i.e. some B-cell lymphomas such as Hodgkin’s lymphoma. “However, it was not at all clear whether the production of CD30 on the surface of lymphoma cells is merely a result of the cancer or whether it causally contributes to it,” says Ursula Zimber-Strobl, associate professor and Deputy Head of the Research Unit Gene Vectors (AGV) at Helmholtz Zentrum München. Together with her team, she has therefore developed a mouse model to investigate whether persistent CD30 signaling leads to the development of blood cancers. 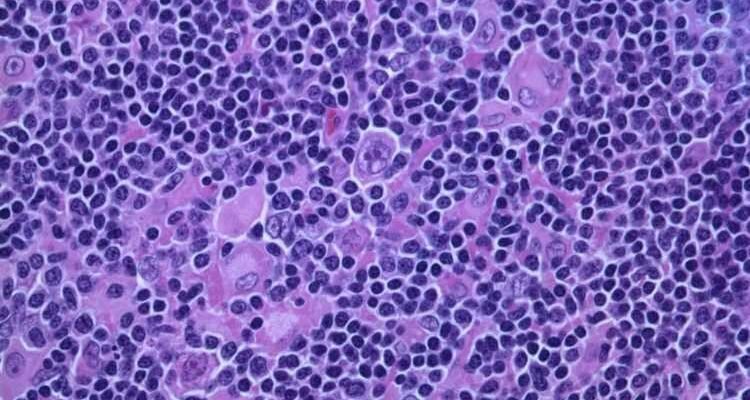 “In the experiment, we found that the likelihood of B-cell lymphoma development is greatly increased when B lymphocytes carry permanently activated CD30 molecules on their surface,” reports Stefanie Sperling. The lead author is a doctoral student in the AGV and a member of the HELENA Graduate School. Such permanent CD30 activation can be triggered in humans as a result of stress on the immune system over extended periods, for example at the onset of glandular fever (infectious mononucleosis) following infection due to the Epstein-Barr Virus. B lymphocytes carrying CD30 on their surface then increase greatly in number. In most cases, the CD30-positive cells are rapidly eliminated, but in rare cases they can lead to cancer as a result of misdirected cellular processes. Thus the risk of developing Hodgkin’s lymphoma directly after glandular fever is increased.